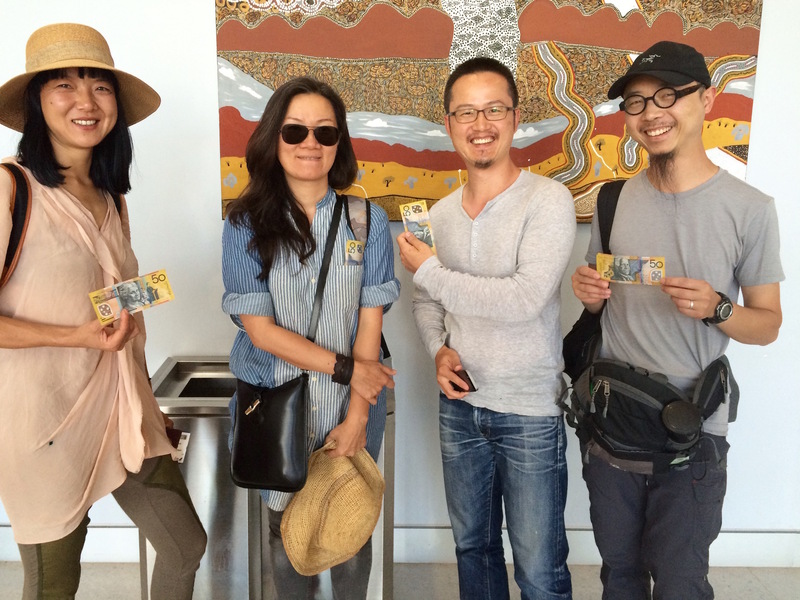 For many years, we had been planning to bring a specially selected group of Chinese curators to Australia for a ‘slow’ tour of Aboriginal art centres hosted by local Indigenous artists and communities in the Top End and Kimberley. A key feature would be the road-trip across-country (from Darwin) bush camps and visits to sacred art and cultural sites hosted by local Indigenous elders. We aimed to assist our visitors to build a genuine understanding and appreciation of the extraordinary breadth, depth and diversity of Australian Indigenous culture. We expected to reach a core group of Indigenous artists associated with each of the host Aboriginal Arts organisations and nurture the establishment of person-to-person relationships based on mutual trust & respect. 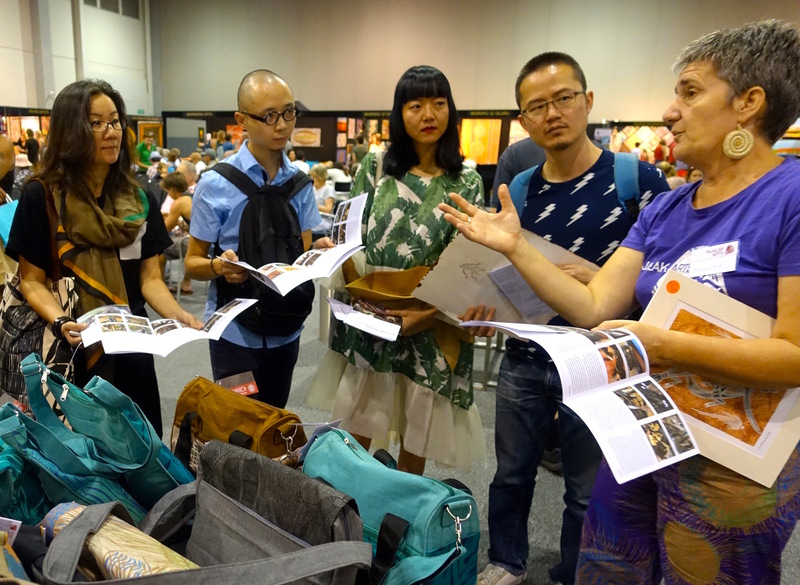 We intended to support the Chinese curators in developing reciprocal cultural exchange and exhibition proposals, which will see Australian Aboriginal artists participating in ongoing culture exchange programs between Australia and China thereby assisting the development of new export markets for contemporary Aboriginal art in China. 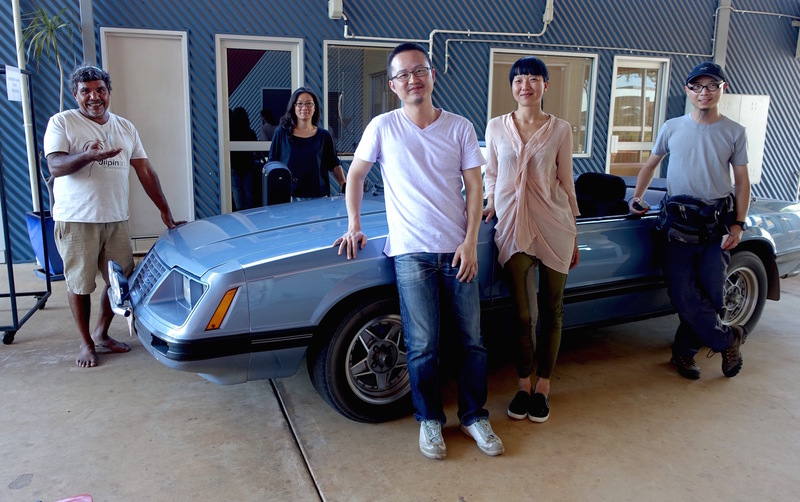 In June 2014 we were delighted to learn that the Australian Embassy in Beijing had prioritized our proposed Chinese Curatorial Road Trip across the Top End for the 2015 / 2016 financial year. 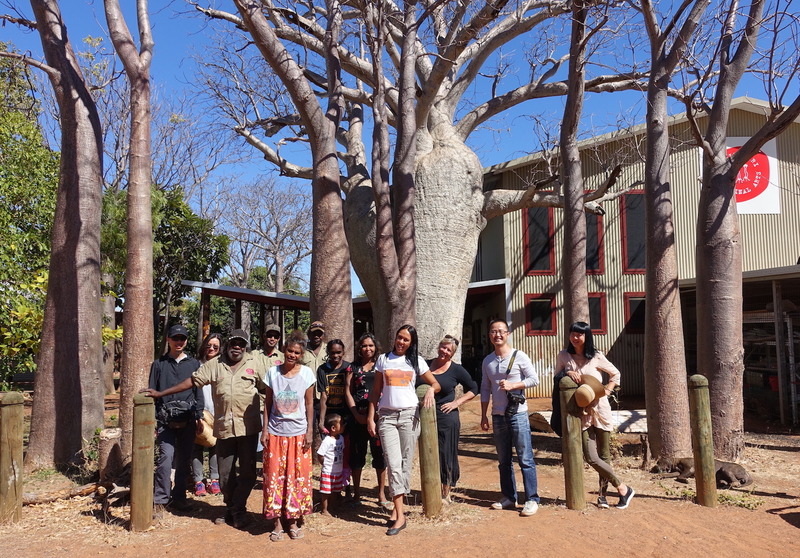 Fortunately all of the proposed participants and host organisations had been engaged in the development of the project over many years and we were able to act very quickly to organize the tour to coincide with the upcoming Darwin Aboriginal Art Fair and Telstra Aboriginal & Torres Strait Islander Art Awards held in August. We were very fortunate that the project received the full support of the Embassy in Beijing who threw the energy and enthusiasm of their staff behind it. This coupled with the ‘preparedness’ of the Aboriginal Art Centres and the selected Chinese curators allowed us to swing the project into action at very short notice. Catherine worked with Hayley May Ward at the Embassy to develop and finalize an itinerary that encompassed our combined objectives. We were delighted when all of the pieces fell into place the DRAFT Itinerary was fully embraced by our partner ‘Aboriginal Art Centres and other ‘hosts’. 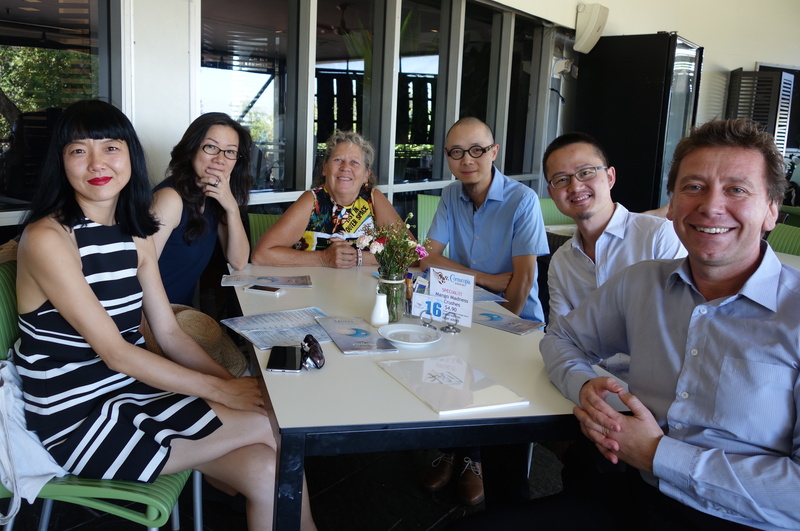 Here they meet with Lorenzo Strano (DFAT) before joining Gary Lee (Gary was a participant in our Yiban Yiban tour of Southern China 2014) and Maurice O’Riordan, Director of the Northern Centre for Contemporary Art for dinner at the Ski Club. 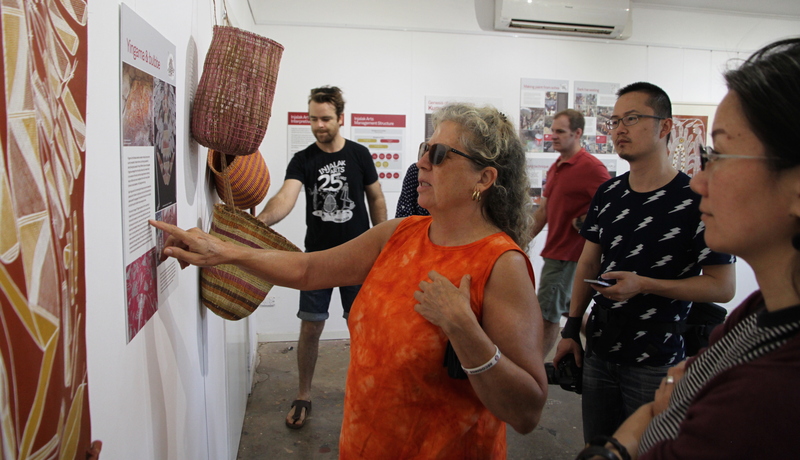 We then attended openings at The Northern Centre for Contemporary Art, Nomad and Out Back Arts in Parap where the delegates also enjoyed visiting the Markets. The afternoon was spent at the Darwin Aboriginal Art Fair, visiting our ‘hosts’ stalls and meeting with an extraordinary variety of Aboriginal artists from across the Top End. At each stall Catherine introduced the Aboriginal artists and asked if they would share some stories about their unique cultural heritage with the delegates. And so the tour began, every day the delegates met new people, heard new stories, and learnt new things about the extraordinary diversity of Indigenous culture. Kakadu National Park provided an opportunity for the delegates to really experience the Australian ‘outback’ in a remote bush camp. Here they encountered ‘wild life’ (wallabies, possums, crocodiles, cockatoos, finches) the extraordinary ‘milky way’, the strange shapes and colours of Australian flora, glorious sunsets and a very good overview of our unique history both pre and post settlement. Injaluk Hill Rock Art Tour allowed the delegates to view ancient paintings ‘in situ’. Traditional owner, Thompson Nganjmirra conducted the tour. He provided an excellent historical perspective for each of the ‘galleries’ describing spirit figures, dreaming stories, Aboriginal customs and lore, Thompson also identified the ‘out stations’ located around this sacred rock and explained the importance of ‘living on country’ in the context of Indigenous peoples strong connection to the land. At Djilpin Arts, Australian actor and musician Tom E Lewis spent the afternoon discussing shared histories between Aboriginal people and the Chinese. With tales of early trade around the coast, mining and prospecting throughout the ‘stone country’, mixed marriages, shared social customs and a genuine affection between the races. Tom was very pleased to meet the Chinese delegates presenting them with gifts from Beswick Community, talking with great enthusiasm about the importance of cultural exchange and inviting our curators to return for the “Walking With Spirits” Festival. In Keep River we were honoured to walk with traditional owner Peggy Griffiths and her family through their country. Peggy, her daughters and grand daughters shared stories about ‘Station Life’ well before the town of Kununurra was established. She talked of young girls hiding in billabongs to evade the local police who regularly rounded them up to ‘work’ at the homestead. 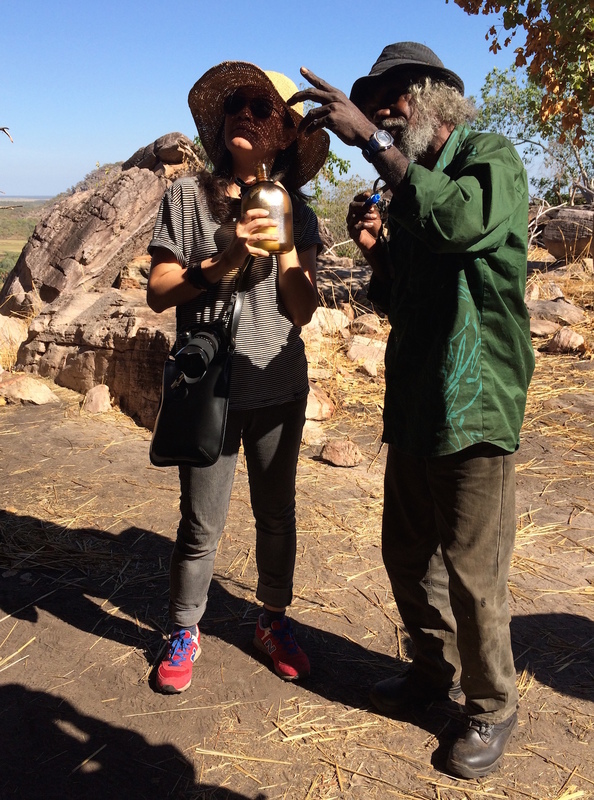 We walked to her family shelter cave and she explained the rock art and gathered bush tucker for our delegates to eat. Dora gave an extended tour of the Art Centre and its ‘keeping place’ (museum) giving long explanations for each of the ceremonial objects and images. This was followed by a formal Chinese tea ceremony conducted by Yunhe with fresh baked damper. 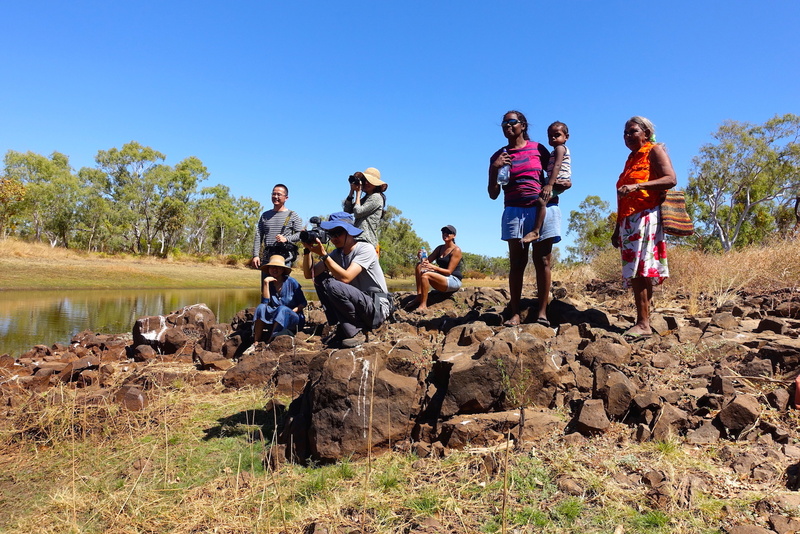 Our long drive from Katherine to Keep River allowed the delegates to experience the distances between remote communities and the dramatic changes in landscape. While in Kununura the Art Centre Manager Cathy Cummings and trainee manager Nawoola, took us on special tours of the large collaborative artworks commissioned Government buildings including; the local Courthouse and general hospital. On our last morning together we visited the Chinese owned, Kimberley Agricultural Investment Company for a guided tour of the 30,000h of land they were clearing and ‘laser leveling’ in preparation for farming in Stage 2 of the Ord River Scheme.